Shipbuilding is an industry that deals with the production and repair of watercrafts in shipyards. 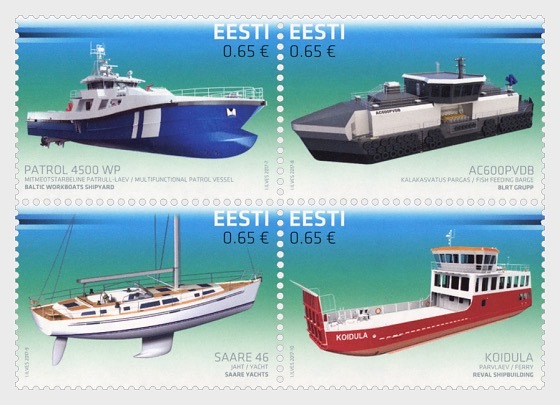 The biggest Estonian company in the field is BLRT Group followed by many companies that mainly build small ships - Baltic Workboats, Saare Yachts and Reval Shipbuilding. PATROL 4500 WP is a 45 meter multifunctional wave-piercing Patrol vessel. AC600PVDB is a fish feeding barge with an increased seaworthiness and a deep V-shaped hull. SAARE 46 is a luxurious and fast yacht with a length of 46 feet. KOIDULA is a unique ship that is designed for very shallow waters - the draught in full load is only 1.0 m with a maximum load of 40 t.